The fall season is officially upon us! After a long hot summer, the cooler temperatures of fall are here. But the end of summer doesn’t mean the end of your outdoor adventures. 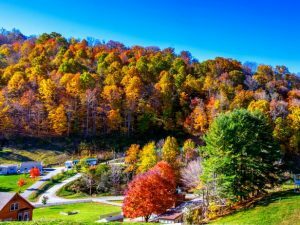 If you are as fascinated by natural color as I am, there are several picturesque autumn journeys where you can experience the sheer brilliance of Mother Nature at her most creative. 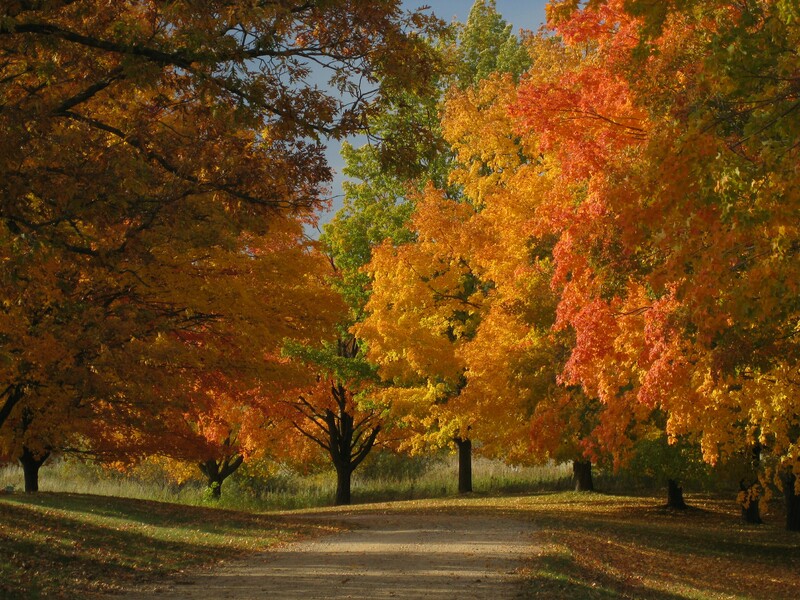 Most people think of Illinois and Michigan as the go-to Midwest states for leaf lovers. But Minnesota – specifically Minneapolis – has some fantastic spots to visit. In fact, one of the must-see foliage spots is 30 minutes away from the heart of the downtown area at the Minnesota Landscape Arboretum, which is part of the University of Minnesota. The Arboretum features over a thousand acres of public gardens and natural habitats. The colors you’ll witness there is without a doubt one of the best you can find — and certainly one of the most accessible! And, at the Arboretum, you can even get a taste of the organic foods grown on site. At the top of Wisconsin, you’ll find a place where wilderness is alive and well. 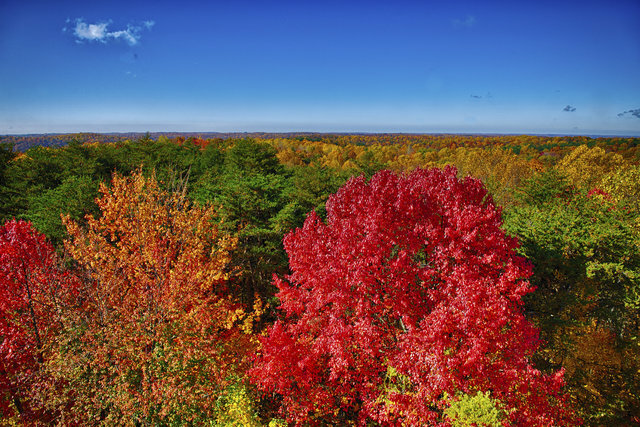 And during Fall, you’ll bear witness to what Presque Isle is famous for: some of the most gorgeous fall colors the Midwest has to offer. The majestic beauty of Presque Isle’s fall colors. Crimson reds. Smokey golds. Deep chocolate browns. All accented by nearly 150 lakes whose waters beautifully mirror the stunning bluebird skies. The Waterfalls on the Presque Isle River is a definite must-see! The Blue Ridge Parkway is not only noted for its scenic beauty, but for being America’s longest linear park. 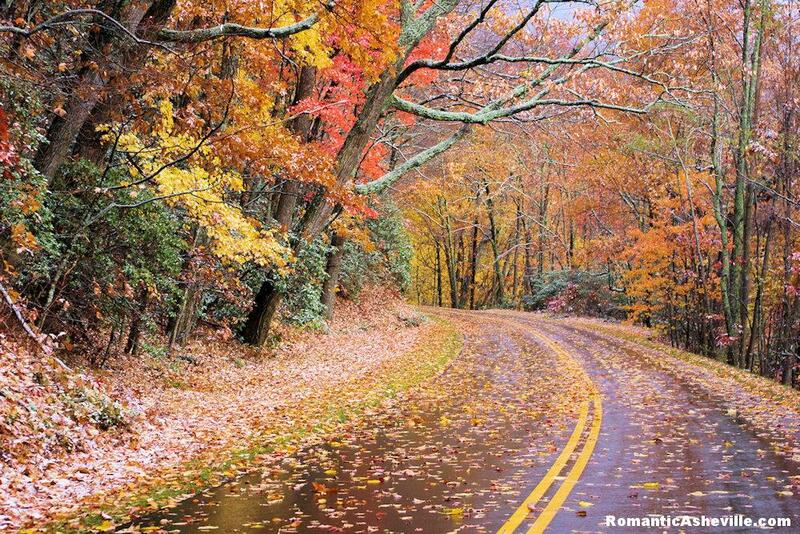 Blue Ridge Parkway, courtesy of Romantic Asheville. 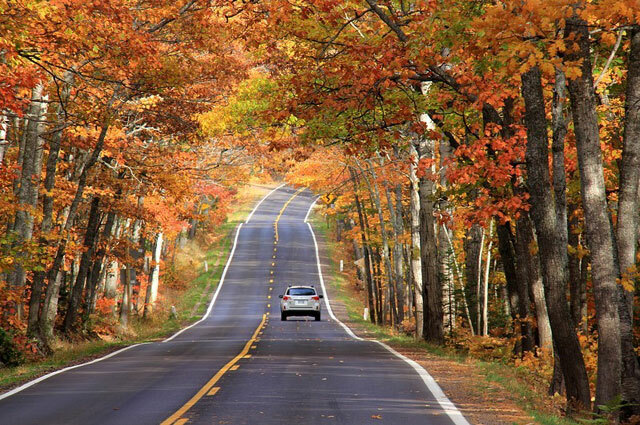 October and early November anywhere in Michigan’s Upper Peninsula will be a stunning experience. Michigan’s state forest system is the largest in the eastern United States (just over 4 million acres!) 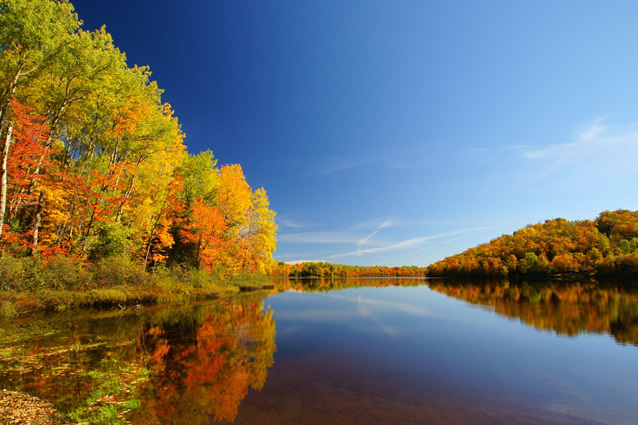 but autumn on the tip of the Keweenaw Peninsula is one of our favorites. Old-growth pines. Waterfalls. Historic lighthouses. Abandoned mines. And ghost towns. There is plenty to explore in Copper Harbor. But the most iconic of the lot is the Copper Tree Tunnel. And last (though certainly not least) we have Hocking Hills. Just an hour’s drive from Columbus, which is actually a nice city to visit in its own right. But 10,000 acres of maple, sassafras, oak, and hickory await you in Hocking Hills. Breath-taking fall colors from Hocking Hills, Ohio. Millennia-old rock formations carved out by glaciers. Waterfalls spilling over cliffs. Caves tucked away yet ready to explore. You’ll experience these and more when you’re there, but it’s the fiery bombardment of color in Hocking Hills during autumn that without a doubt steals the show. You can find a map regularly updated by the US Forest Service of the best Whens and Wheres for catching the perfect fall colors in the U.S. But no matter when you decide to experience the rich views that autumn has to offer or where you choose to go, remember one thing: Go slow. Stop often. Interact with locals. That will guarantee that you get the most of your foliage adventure. These are just some of my favorite fall destinations. North America has many more options, from national and state parks, lakes and designated scenic drives — far too many to mention here! Wherever you decide to go, the foliage transition from the lush greens of summer to the bold colors of fall, combined with the sweat smells of the woods, is one of nature’s great gifts to us, and a reminder that we should take the time to unwind and press ‘pause’ on our busy lives. Have a favorite Fall Color destination? Let us know in the comments!